The methods, scope and concepts used by the Education Account change periodically. Thus in 2012, the measurement of continuing education and expenditure by households and municipalities was reviewed. The latter was also corrected in 2013. Likewise, results were also modified as a result of the switch to the 2010 base in the French national accounts and particularly the inclusion of Mayotte within its scope. This rebasing, on top of the changes made in 1999 (inclusion of DOM) and 2006 (transition to the French organic law on finance laws (LOLF)) caused breaks in the raw data series.To enable data to be followed chronologically, the main series have been backcasted to 1980. 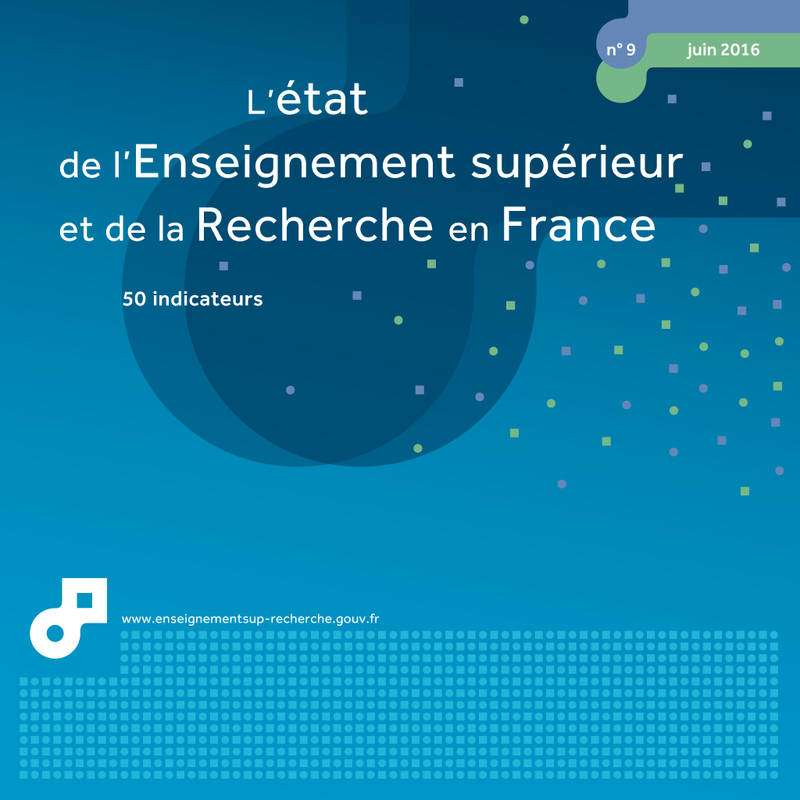 The recalculated amounts given here therefore differ from amounts in previous editions of the report on tertiary education and research in France. In 2014, the nation (central government, local authorities, other public administrative bodies, households and companies) dedicated €29.2 billion to tertiary education, a fall of 0.3% over 2013 (at constant prices). Since 1980, expenditure on tertiary education has seen strong growth of 2.8% per year on average. Its share of domestic education expenditure (DEE) increased from 15.1% in 1980 to 20.0% in 2014 (table 01.01). Over the whole period, DEE on tertiary education was multiplied by 2.6 in constant euros (chart 01.02). Despite this significant increase, average expenditure per student rose by only 39.7% due to a doubling of student numbers. Over the same period, average expenditure per secondary school pupil increased by 65.9%. Over the period 2006-2009, when there was both a rapid increase in DEE and a slowdown in student enrolment, expenditure per student increased by 3.5% on average per year. Since 2009, however, the slowdown in DEE combined with a new rise in the student numbers has resulted in a drop in spending per student of 0.7% annualy 1. Average expenditure per student stood at €11,560 in 2014 (chart 01.03). Although it may be difficult to compare the cost of different curricula directly, especially since research expenditure is included in the university totals, there are considerable differences from one branch of study to another. The cost varies from €10,800 euros per year for a university student to €14,980 for a pupil in a class preparing for admission to Grandes Ecoles (CPGE). However, in recent years, the gap between these average expenditure figures has tended to narrow (chart 01.03). More than seventy per cent of total expenditure goes on staff, especially teachers' wages (41%) (chart 01.04). With no repeat years, leading to a Bachelor's degree (via a general or technology second cycle) was estimated in 2014 to be €148,590, while a 17-year education leading to an Advanced technician diploma (BTS) (via a vocational upper secondary cycle) would cost the nation €146,620. In terms of initial funding (see definitions opposite), central government contributes the major share of DEE for tertiary education (69.0%) while local authorities contribute 10.9% and households 8.6% (table 01.01). In terms of final funding, i.e. after including grants in the household budget, the household share practically doubles (16.8%). Some direct or indirect support, funded by the central government and which benefit students or their families, do not appear in the DEE for tertiary education: these are related to taxation (increase in family quotient) or are not directly linked to student status (social housing benefit). If they were included (excluding social welfare payments), expenditure per student in 2014 would then increase €11,560 to €12,780. 1 Change in expenditure on programmes 150, 231 and 142 of the Inter-ministerial Mission for Research and Higher Education (MIRES) was -0.2% between 2010 and 2011, +1% between 2011 and 2012, +0.9% between 2012 and 2013 and +0.0% between 2013 and 2014 (at 2014 prices). 2 These series have been backcasted for the whole period (see methodology opposite). 3 This includes Social housing benefit (ALS), the State contribution to Individualised rent subsidy (APL), increase in family quotient, tax reduction for tuition fees. 4 The structure of initial funding in higher education could not be backcasted before 2006. 5 Including the French national research agency (ANR) and the consular chambers (chambers of commerce and industry, chambers of trade, chambers of handicrafts, chambers of agriculture, etc.). 1 "Higher education producers" are economic agents (in the majority of cases, institutions) which carry out education activities.